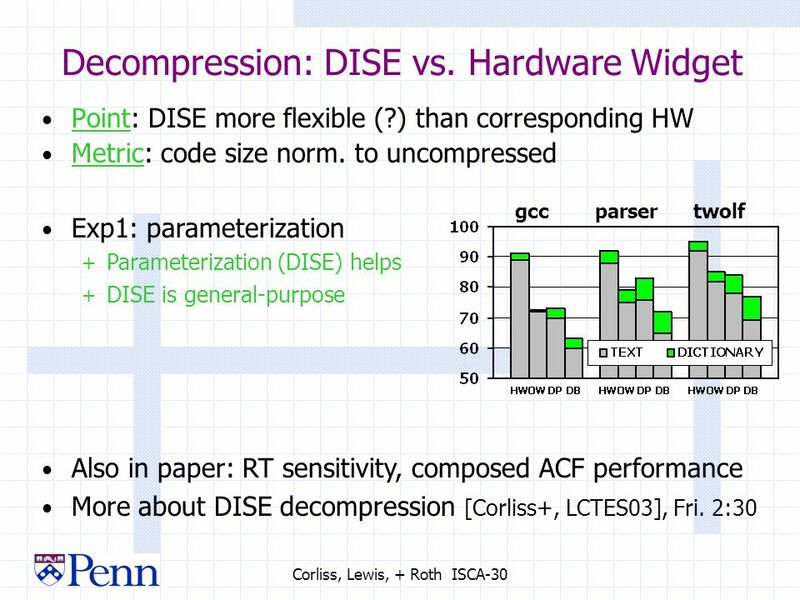 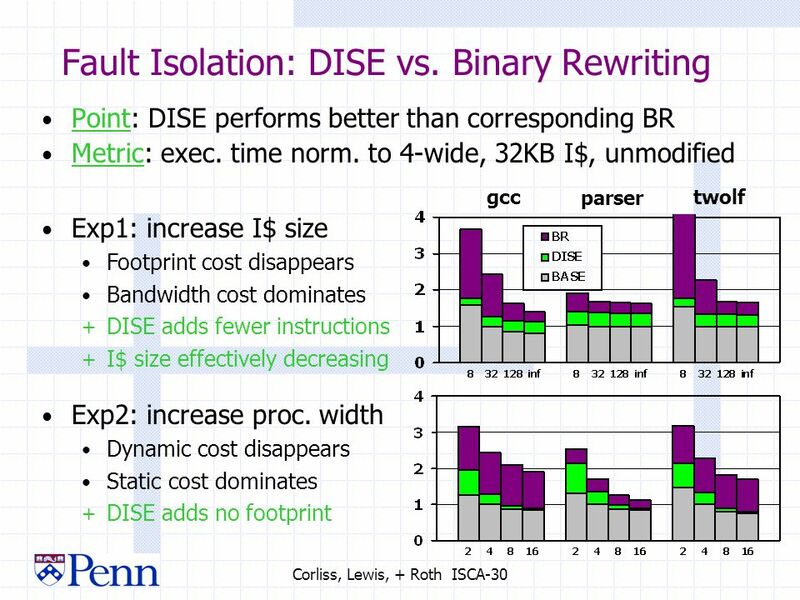 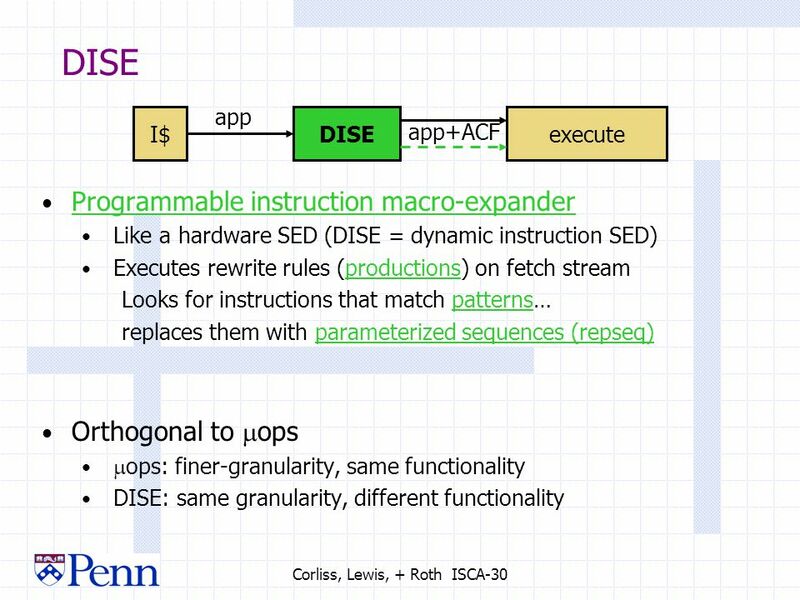 Corliss, Lewis, + Roth ISCA-30 DISE: A Programmable Macro Engine for Customizing Applications Marc Corliss, E Lewis, Amir Roth University of Pennsylvania. 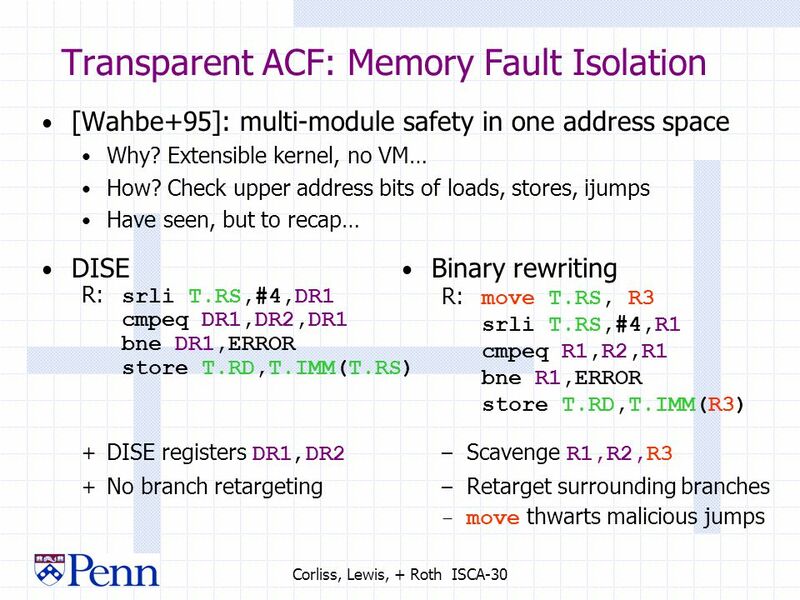 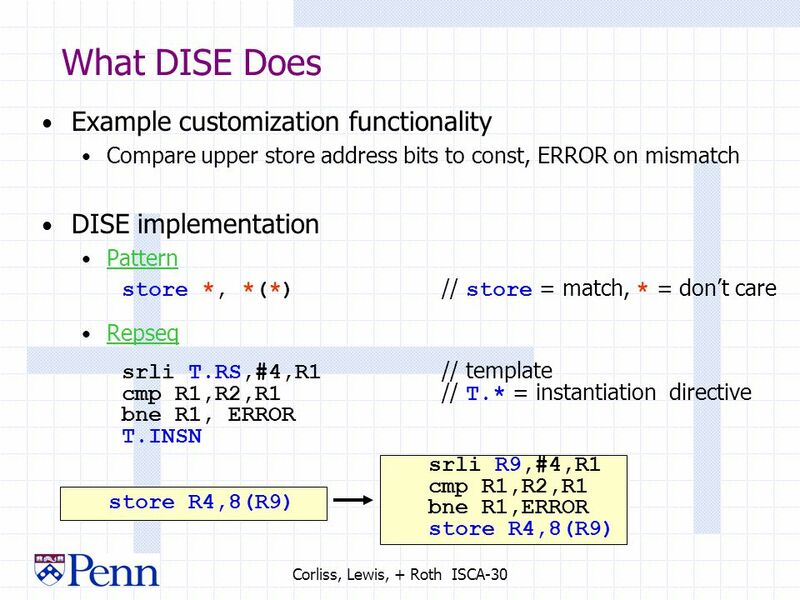 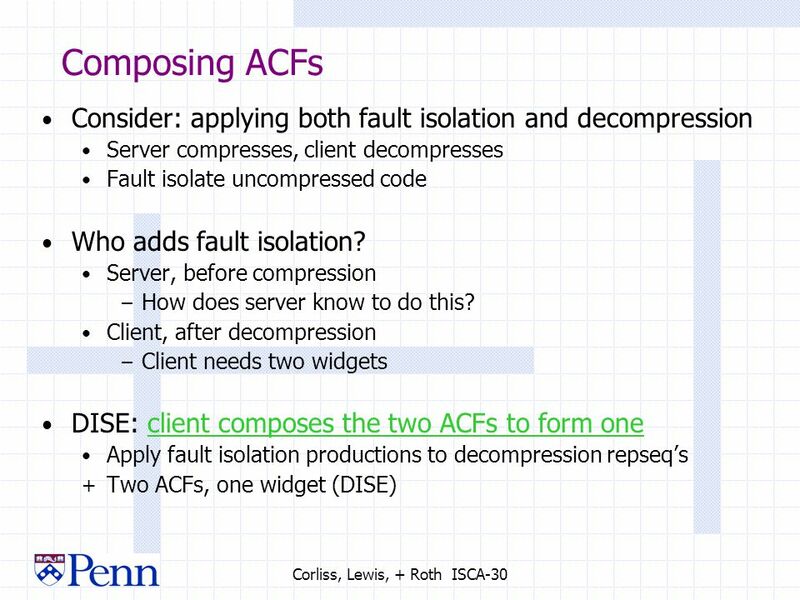 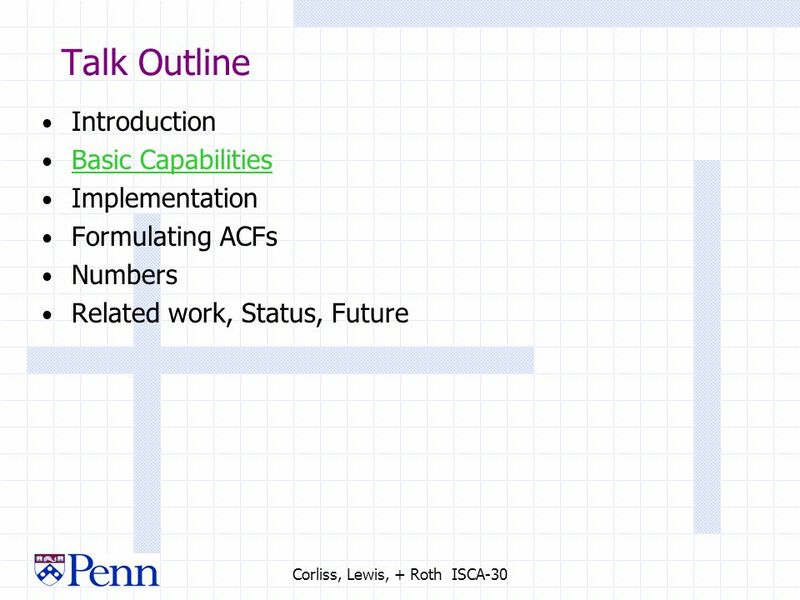 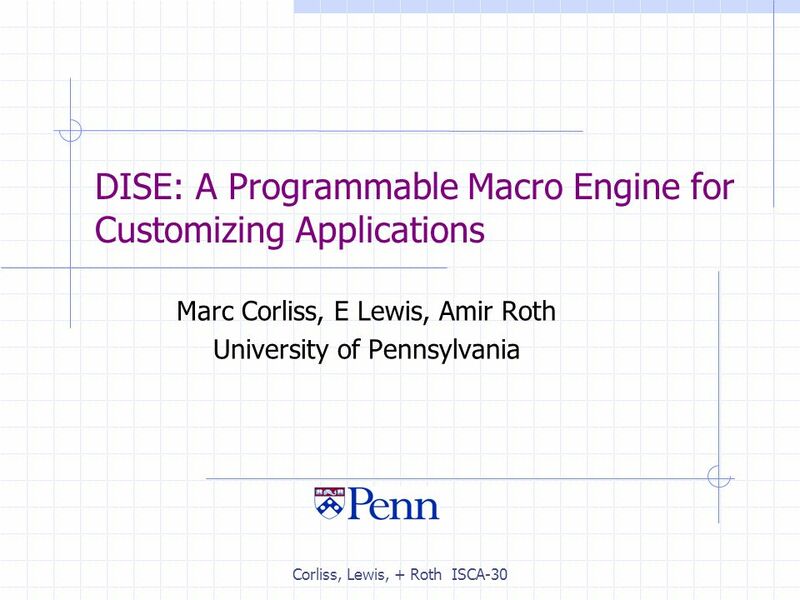 Download ppt "Corliss, Lewis, + Roth ISCA-30 DISE: A Programmable Macro Engine for Customizing Applications Marc Corliss, E Lewis, Amir Roth University of Pennsylvania." 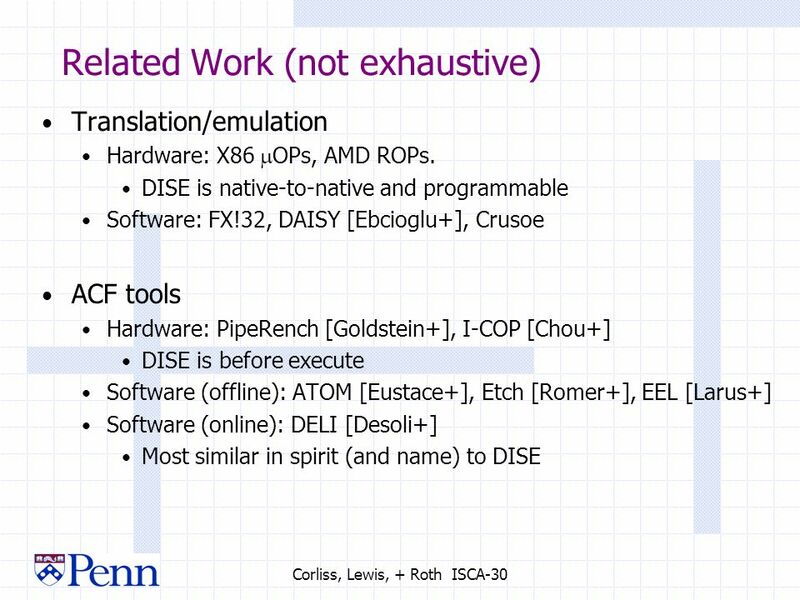 Chapt.2 Machine Architecture Impact of languages –Support – faster, more secure Primitive Operations –e.g. 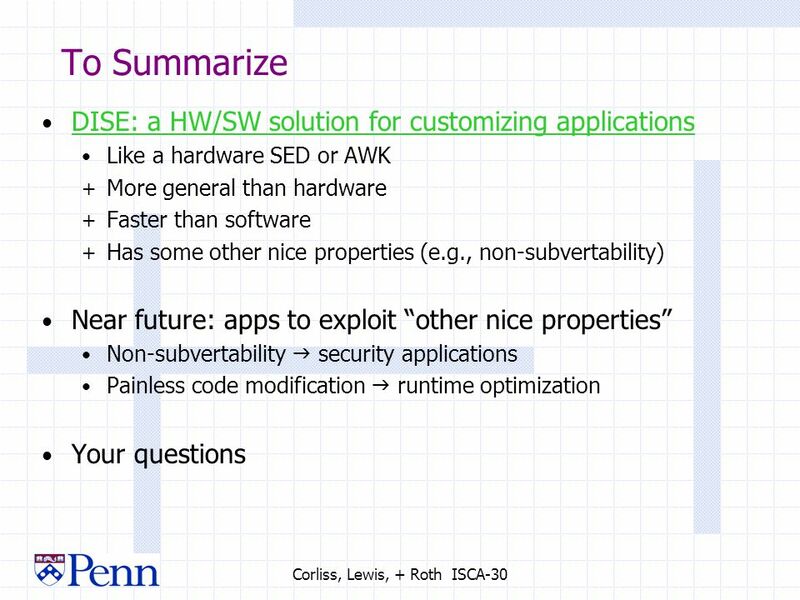 nested subroutine calls »Subroutines implemented. 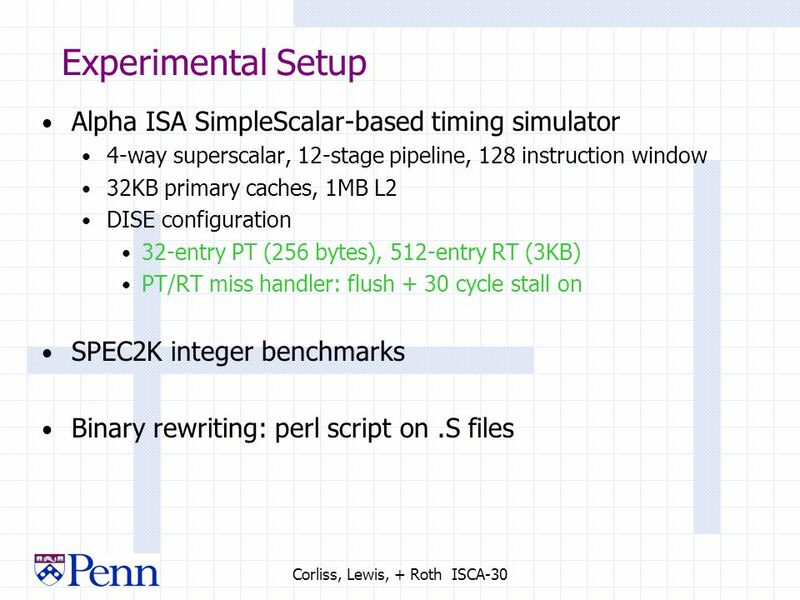 Princess Sumaya Univ. 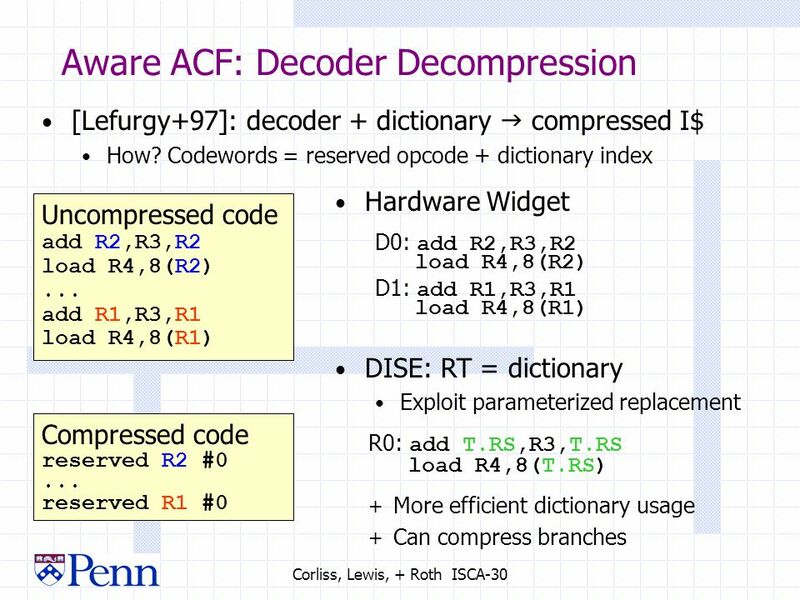 Computer Engineering Dept. 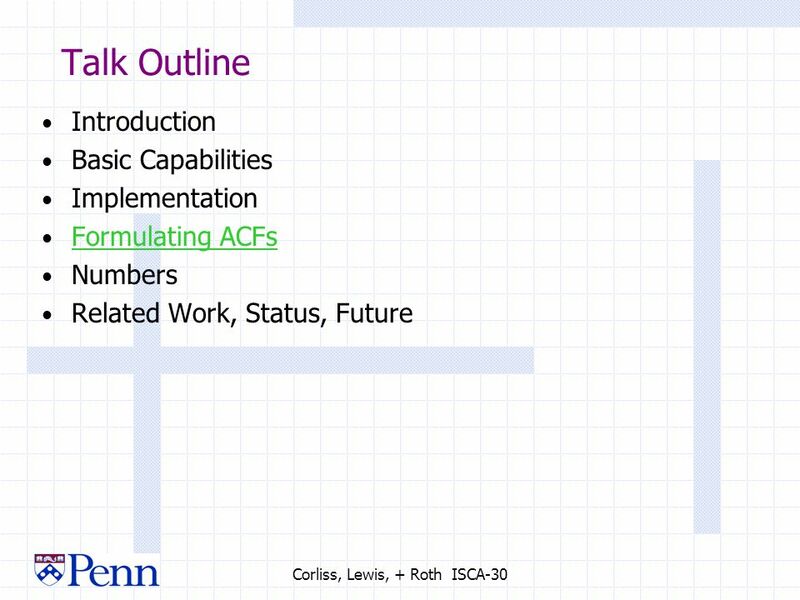 Chapter 2: IT Students. 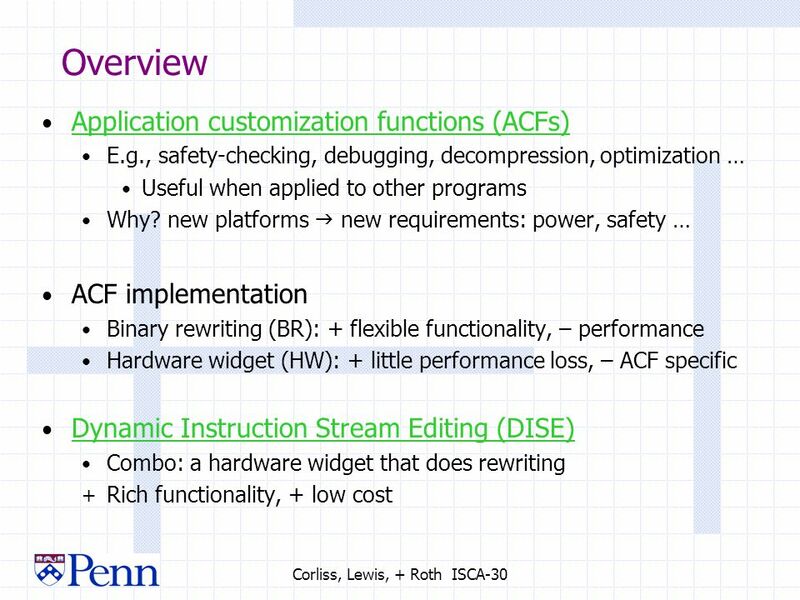 Processor Overview Features Designed for consumer and wireless products RISC Processor with Harvard Architecture Vector Floating Point coprocessor Branch. 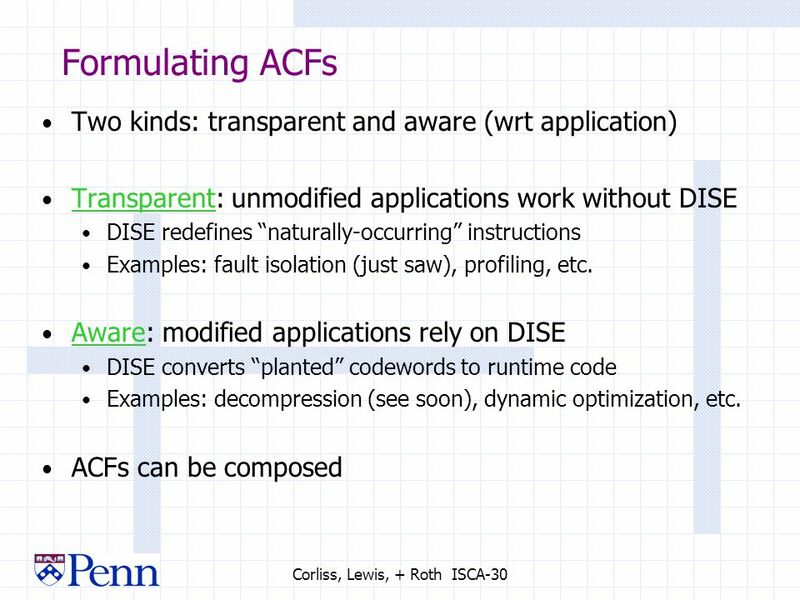 Programming Languages Marjan Sirjani 2 2. 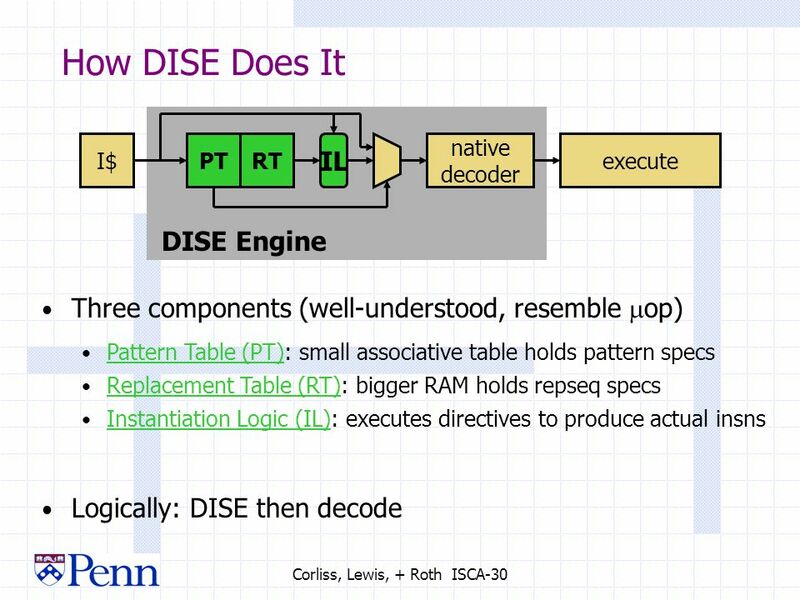 Language Design Issues Design to Run efficiently : early languages Easy to write correctly : new languages. 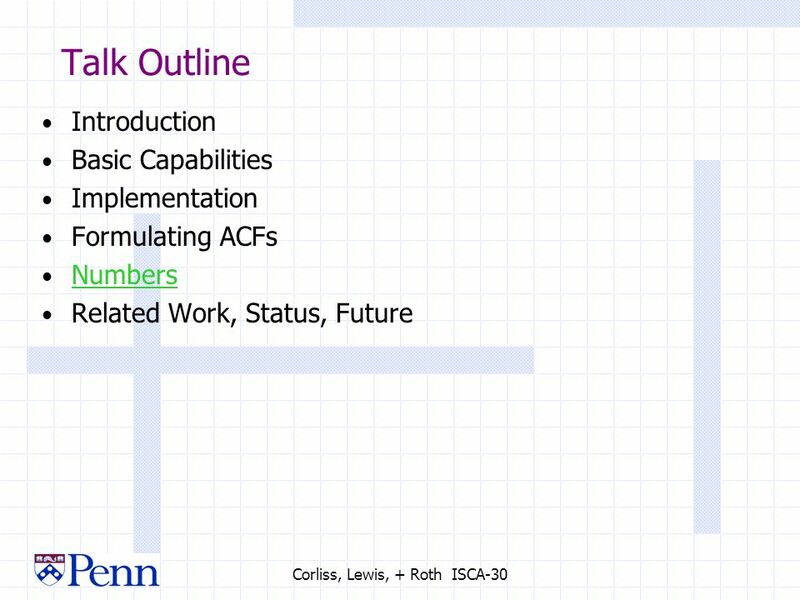 Term Project Overview Yong Wang. 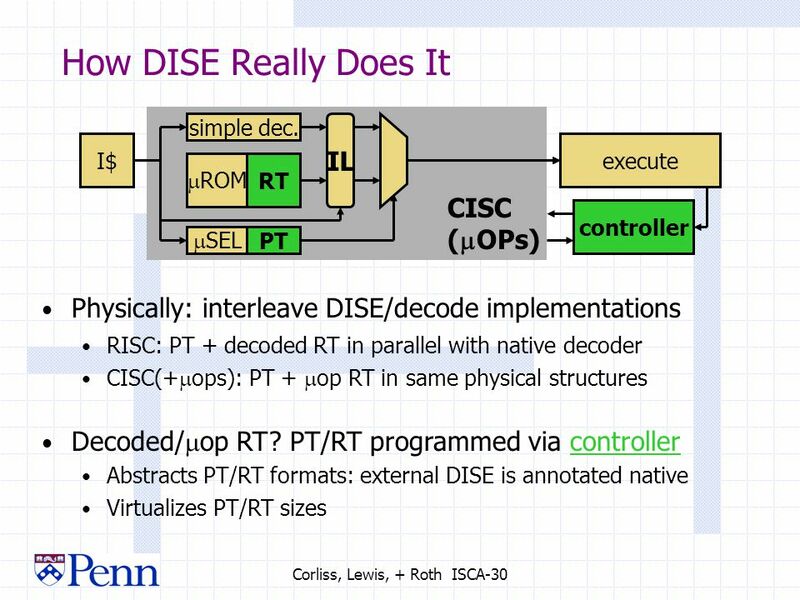 Introduction Goal –familiarize with the design and implementation of a simple pipelined RISC processor What to do –Build. 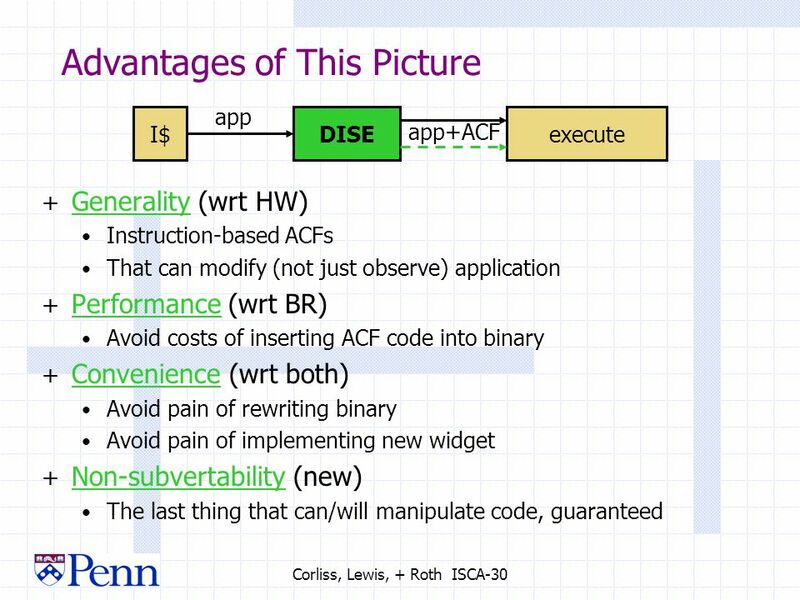 Chapter 8 CPU and Memory: Design, Implementation, and Enhancement The Architecture of Computer Hardware and Systems Software: An Information Technology.